POWER !!! 11 Plates - 4 Internal Filters - 600 Watts POWER !!! 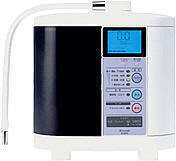 Are you looking for more power, stylish design, and a power house of a alkaline water machine? Well you have found it. The new LIFE LC-11 has all the power you could possibly need. Well equipped for a health food store or a salad bar that want to sell the water to customers. More plates in this ionizer means greater surface area, and more powerful, higher capacity water flow. That means that this ionizer can handle the high-volume demands of your commercial establishment. The alkaline drinking water trend is skyrocketing! Make sure that your business offers purified ionized alkaline water, and everyone will thank you! Can you imagine if you had alkaline water on your restaurant menu along with some information on the benefits of drinking alkaline water? Your store would become the talk of office. 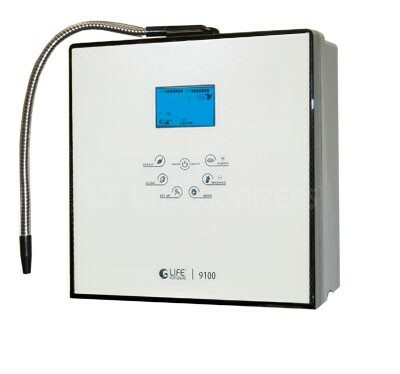 The LIFE LC-11 has more power and larger plates than the few competing commercial water ionizers on the market! And this is all at a savings of about $1000 over the commercial Enagic® unit. The LIFE Ionizer™ LC-11 packs all of the functionality and stylish design of its personal-use predecessors, but this machine has an even more powerful output and filtration capacity per minute for high-output demands. Not only are there more plates for greater surface area—which means that they're more powerful, and higher-capacity per minute—but these plates are even bigger than the Enagic® commercial ionizer's plates. And this is all at a savings of about $1000 over the commercial Enagic® unit. 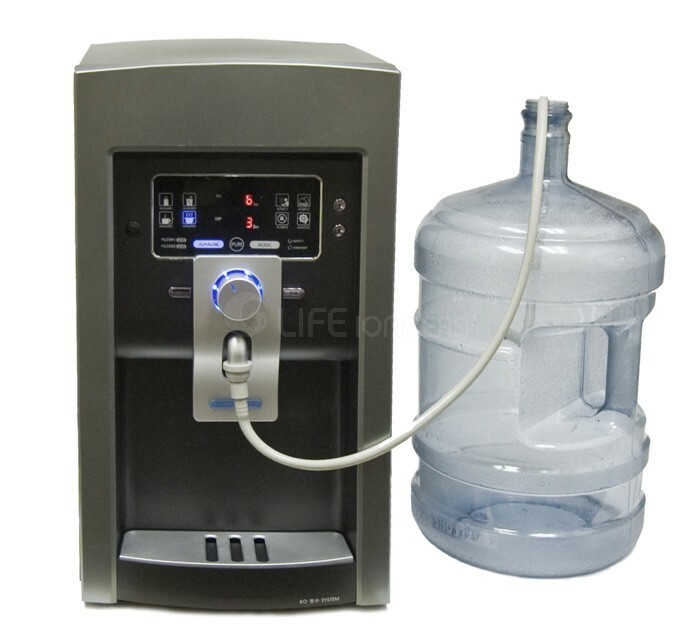 The LIFE Ionizer™ LC-11 packs all of the functionality and stylish design of its personal-use predecessors, but this machine can also handle commercial-use output volume with a 5L/min filtration capacity—without breaking the bank! The LIFE LC-11 comes with an attachable nozzle to divert water flow into larger containers. Maybe you have a 1 Gallon LIFE Eco Bottle or a 1000mL LIFE Energy Bottle with violet glass. Either way you drink you LIFE Synergy Water™ on the go, you can fill any container of any volume when you divert this FREE attachable rubber hose to your LC-11 dispenser nozzle and select your favorite level of LIFE Synergy Water™. At a savings of about $1000 over the commercial Enagic® unit, the Professional Series LIFE LC-11 packs all of the functionality and stylish design of its personal-use predecessors, combining convenience with cash savings! *based on adequate water pressure. The LIFE Ionizer™ LC-11 packs all of the functionality and stylish design of its personal-use predecessors, but this machine can also handle commercial-use output volume with a 5L/min filtration capacity. Look at what else you can get with this powerful LIFE model. Naturally increase the Antioxidant level by increasing the surface area of your ionizer with MESH TECHNOLOGY™! Naturally and safely purify your LIFE Synergy Water™ with safe and effective UV Light Technology™! Naturally and safely energize your LIFE Synergy Water™ with the safe, energizing, and harmonious frequencies from EFT™! The LIFE LC-11 Ionizer™ comes with a 5 Year Warranty on Parts and Labor! 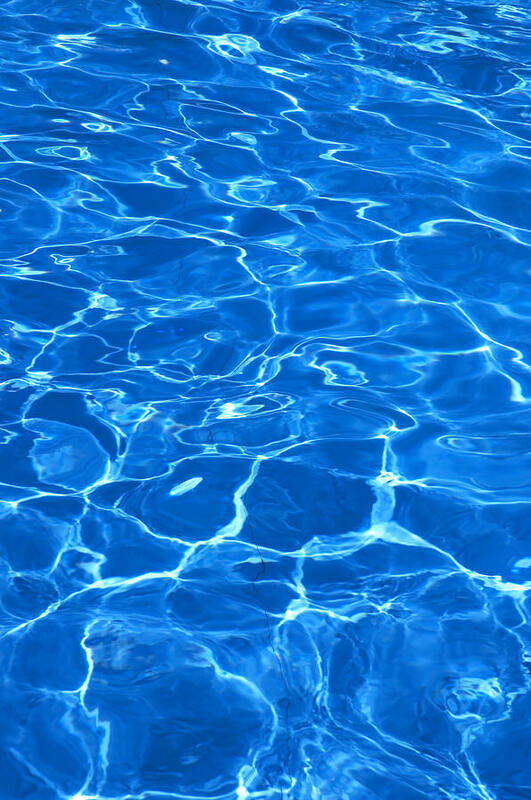 Our goal is to provide you the service and components to create a superior healthy water system. 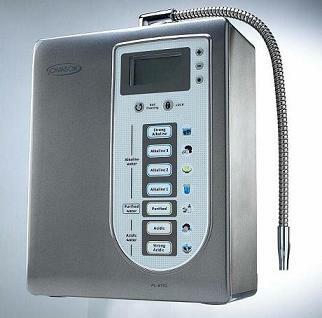 LIFE Ionizer™ water systems are more than just an ionizer. We believe in taking the extra steps to provide purified high quality water that has the many contaminants and pollutants removed from the water BEFORE it even enters the electrolysis chamber. This means that we analyze the water reports for the neighborhood that you live in. If your water is of good quality then our free pre-filter for sediment and chlorine removal will clean up the water before it enters your LIFE Ionizer™’s 9-stage interior filter systems. If your water has challenges, like most water in North America, then we provide a Free customized pre-filter(s). 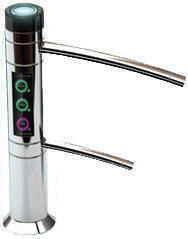 This ensures you that your water is being purified before it enters the high quality dual-stage interior filter system in the LIFE Ionizer™ dual-filter systems. In some areas there is a problem with hard water. To protect your machine from long-term problems, we offer a Free Scale Block pre-filter for your machine. We also provide optional 5 stage reverse osmosis systems at less than wholesale costs for clients who want to super-purify their water while they address their hard water. With this in mind, remember that our warranty does not cover repairs caused by customer neglect or by failure to stop the build-up of calcium in hard water areas. Labor is billed at $60/hr. Average repair time is less than one hour and in some cases there is no charge. Minimum charge is $0 to a maximum of $199 per occurrence. LIFE Ionizers™ pays for shipping back to you. The LIFE time Warranty covering parts does not apply to failure resulting from improper or inadequate maintenance by customer; unauthorized modification; improper use; operation outside of specifications; abuse, negligence, accident, loss or damage in transit; improper installation; or unauthorized maintenance or repair. Items that have not been assigned an RMA number will not be accepted. LIFE Ionizers will pay for shipping on repairs to the US, Canada, Europe and Australia. All other countries and regions must pay for return shipping. A note to our international customers: Please be aware that you are responsible to pay for all international customs, government fees, levies and/or any other fees that are incurred. We invite you to try out our new range of LIFE Ionizers™ and enjoy the benefits for 60 days. We are so sure that you will be satisfied with your ionizer that we offer a 60 day money-back guarantee. If within the first 60 days of your purchase you wish to return your unit, we will give you a full refund, minus a 15% restocking fee. The unit must be returned in as-new condition in its original packing. "As-new condition" means the ionizer is not scratched, damaged or broken in any way and is returned with all hoses, connectors, parts, manuals and DVDs, etc. The original shipping charges will be deducted and return shipping charges prepaid by the purchaser. No return can be accepted without our prior authorization. We will refuse all unauthorized returns. All wholesale purchases are final. Units obtained through financing or lease plans are not returnable.